When using digital projection as part of a drama performance, multimedia installation or other project, it’s important that the presentation is slick and without popup menus and other distractions. This rules out the use of a lot of multimedia playback software, such as Windows Media Player or VLC. If you connect the computer to the projector before turning the computer on, it’s likely the computer will detect the projector and automatically switch it’s output accordingly. If you get no display on the projector after connecting everything together, you may need to activate the computers VGA or HDMI output. On many Windows laptops, this can either be via the Control Panel, or the output options can be activated one-by-one, by pressing the FN Function key (coloured blue, bottom left of keyboard) in combination with the display function key (sometimes F8 – look for the blue monitor icon on the function keys). Qlab runs on Mac computers, and enables the second display output of the Mac to be connected to a projector. When no video is running, the projector output shows the Mac desktop, which should be set to black (using Desktop under Settings). The primary display output shows a Cue list and GO button along with information about running cues etc. You can use MIDI to control Qlab, by connecting between any MIDI device and the Mac running Qlab. 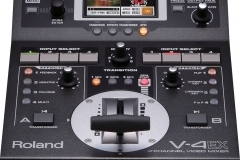 There are also devices specifically for controlling Qlab, which are listed under Sound Links. The Caffeine freeware app can be used to bypass any Mac power settings that may put the machine to sleep when you don’t want it. A wide range of tools for interactive projection are available in the phenomenal Isadora software by TroikaTronix. Powerpoint can be used on Windows computers for simple playback or video images or slides. It can theoretically also be used for audio playback, but is not an ideal solution for this due to lack of playback controls etc. With care, your projector will give you many years of use. However, there is some maintenance required periodically. The projector filter must be cleaned regularly. It catches dust and other airborne particles as they are drawn into the projector by the cooling fan. There’s a timer built into most projectors, which flash up a warning that the filter may be blocked and should be replaced. If you see this warning sign, it’s important to act on it as soon as possible, as the warning may show up during a performance or presentation, or worse, the projector could overheat and shut down. Remove & clean the filter: The filter is built into the projector body near the lens, and can be removed and cleaned easily without tools. Remove the filter, blow compressed air through it, or blow through it, and brush any dust off (carefully) with your fingers. Once the filter can be seen through, it’s clean enough to go back. Most filters only go back in one way, so if it doesn’t fit, try changing its’ orientation before retrying. Reset the filter timer: Some projectors automatically prompt you to clean the filter after 100 hours. Even if you’ve cleaned the filter, you still need to reset the timer. The filter timer setting is usually under the ‘advanced’ menu. If you can’t find it, consult the manual for your projector which you can find online. Each projector lamp has a rated life (in hours). Check online for the instructions and specifications for your projector. Once the lamp hour timer reaches the rated life of the lamp, it may shut down to prevent the projector from being damaged. Red lights flashing together mean the projector is overheating or there’s a fault. Check online for the exact error message settings for your projector. 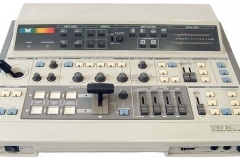 An analogue vision mixer (such as the Panasonic WJ-MX12) can be used to ‘live mix’ between black (which the vision mixer generates) and inputs from a range of analogue sources (including multiple video cameras and DVD players, and (back in the day) VHS players). However, it cannot accept a higher-resolution image from a computer. 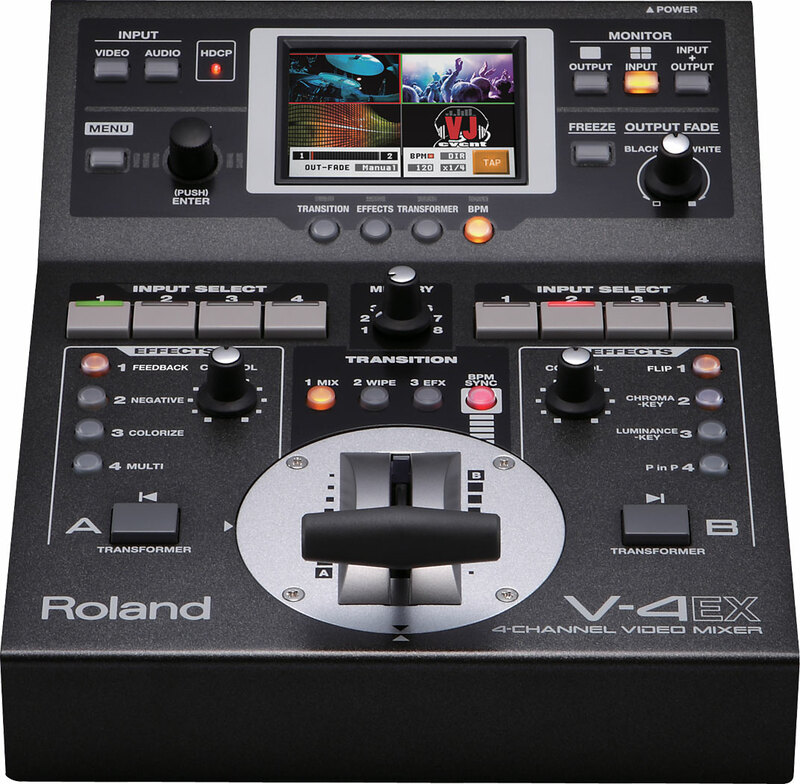 A more modern mixer (such as the Roland V4-EX) CAN accept a PC (or Mac) input, as well as a composite video or HDMI signal from a camera. Give yourself time to experiment with the display settings on the computer, as you sometimes need to reduce the resolution. Domestic-quality video cameras can be used to create a live feed from the stage (or an adjacent room) to a digital projector. 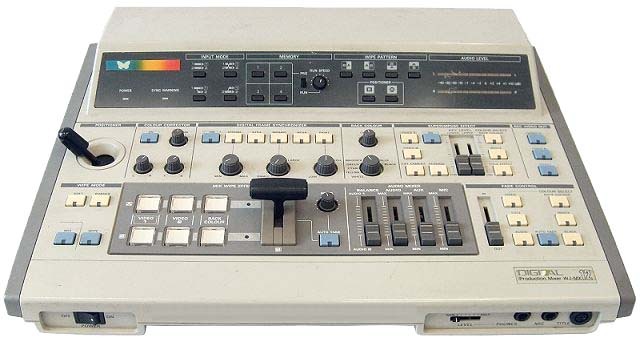 A reasonable quality of video picture can be obtained by using a standard microphone cable with a pair of XLR to Phono adaptors to connect into the video camera output and the projector input. A cable length of around 20 metres gives a good enough signal. If you have a higher budget, you can use professional equipment with a high quality BNC video output connection, with BNC video cables, over a much longer distance. You’ll still need an adaptor to connect into the video input of the projector. There are a number of factors to consider when choosing a data projector. The closer to the screen, the brighter the image. This is sometimes expressed as a Throw Ratio. For example, a throw ratio of 2.5 means that to achieve an image 2 metres across, the projector must be (2 x 2.5 = 5) 5 metres from the screen. A projector 8 metres from the screen will result in an image (8 / 2.5 = 3.2) 3.2 metres across. The largest image will need a short throw projector with a wide-angle lens – originally designed for uses such as interactive whiteboards, where the projector is mounted only a short distance from the screen, they have a large number of uses in entertainment applications. Measured in dB (decibels), the lower the number, the quieter the projector fan. Many projectors have an ‘eco’ mode, which saves energy and extends lamp life by running the lamp slightly dimmer than usual. It also reduces the fan speed, so is quieter. Expressed as a ratio (e.g. 1000:1 or 20,000:1) it is a comparison between the brightest and the darkest areas of the image. A higher ratio results in purer black tones, which is essential to reduce the ‘digital grey’ box that projectors produce when they should be projecting black. Measured in lumens. A standard office-quality projector may be capable of producing 2000 lumens. More useful projectors for darkened theatre spaces are 4000 lumens. The best quality projectors that have to fight through stage lighting states may be 10,000 lumens and above. ANSI Lumens (American National Standards Institute) provide a more accurate measure for the useful brightness of a projector, and should be quoted for all new projectors. Beware that many online sellers exaggerate the lumen rating of projectors – if the projector is very small, and claims to have a high lumen rating, and be suitable for watching movies, use caution before buying! Modern projectors have HDMI connectors which produce the best quality. Check the connectors your multimedia player / PC / Mac has, to ensure the projector is compatible. Websites such as www.projectorcentral.com allow you to easily select a projector using these criteria, and also has an incredibly useful throw distance / image size calculator, which shows what each model of projector is capable of. This is a function available on data projectors which allows the selective stretching of the horizontal component of the projected image so that it appears to be rectangular when projected from an angle above or below the projection surface. More advanced (expensive) projectors can also keystone the vertical component of the image, and some recent projectors can automatically detect the projection surface and can automatically keystone the image to fit. Qlab (and other projection software) can also provide keystone correction and mapping of an image to a complex object. Projectors should not be tilted more than 30 degrees from the horizontal. You can use a deflector mirror to project the image either up or down from the horizontal projector. A front-silvered mirror should be used. Ensure that the mirror you buy can be safely and securely mounted to the projector / lens. The contrast ratio of a projector is a measure of how ‘black’ the dark parts of the projected image can be.This includes the black that Qlab projects when there is no video playing. Cheaper LCD projectors (with, for example a contrast ratio around 400:1) have a visible dark grey beam which can be intrusive during blackouts. A projector using DLP technology can produce a much better contrast ratio, of around 2500:1. A professional high quality projector may have a contrast ratio of 10,000:1, producing very dark blacks, and an almost invisible blank screen. If you’re only able to use a projector with a poor contrast ratio, you can use a dowser to block the light. CARDBOARD FLAP: The most low-tech way of achieving this is to use a piece of cardboard attached to a piece of string, taped onto the projector so that when the string is released, the cardboard flaps over the lens, blocking the light. CD-ROM DRIVE: Old CD-ROM drives from redundant computers can be modified into very effective dowsers. [Advice follows for technically-minded folk]: Open the case of the CD-ROM and remove (and recycle at your nearest facility) the electronics, apart from the motor drive for the CD drawer. Solder cables to the motor, and run to a suitable connector that you’ve mounted on the CD-ROM body. Apply 5V at one polarity and the drawer opens. Reverse the polarity, and it closes. Cover the hole in the CD drawer with blackwrap tape or other suitable heat-resistant material. DMX DOWSER: A number of companies make DMX-controllable dowsers which fit onto the front of a projector and have a motor and a shutter which lowers to cover the projector lens. While the brightness cannot compare with larger desktop projectors, the possibilities of using a handheld projector (or headworn, or mounted inside a prop, or hidden in a small room as part of an installation) are endless. They are usually nearly silent-running, so are perfect for small venues. The brightness of these projectors are measured in lumens, so this is the critical information to find out before buying. Flexible curtain embedded with multiple LED sources which can be mapped to show video images.